Born Marley Bertrand September 8th, 1989 in Tucson, Arizona, Marley B is an up and coming Hip Hop artist. 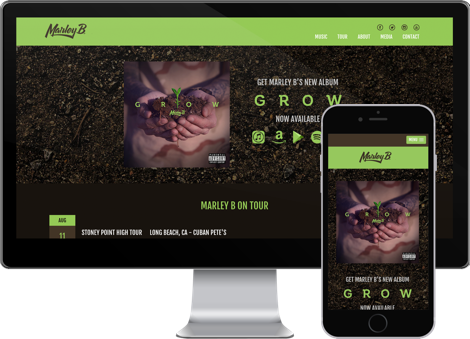 I went to high school with Marley, so when his music career started to take off it made sense of us to connect and create an online brand that supported his image. The website features a tour list, music and more.